I must admit that a Centerparcs holiday was never at the top of my agenda. “Why go to Centerparcs when you could go abroad for the same price?”, I used to think. So when Centerparcs was mooted as a suggestion for a joint 30th birthday weekend away by my nearest and dearest friends, I must admit that I was sceptical. I think the operative words to note in the above paragraph are “I used to think”. All of my pre-conceived ideas changed one weekend last November. 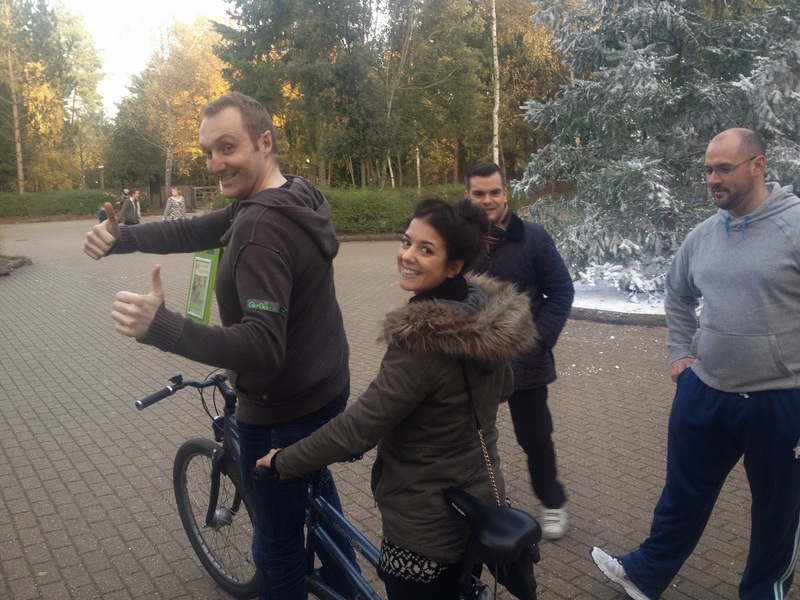 We rolled up to Centerparcs Elveden Forest, in Suffolk, on November 15th 2013 in two cars filled with people, luggage, food…and above all else, alcohol! September and October has always been known as ‘birthday season’ amongst our friendship group, as 5 out of the 6 of us are born with 6 weeks of each other. Three hefty 30th birthday parties in the weeks leading up to Centerparcs meant that we had enough alcohol left over to stock a mini off licence. So it would’ve been rude not to take it with us! 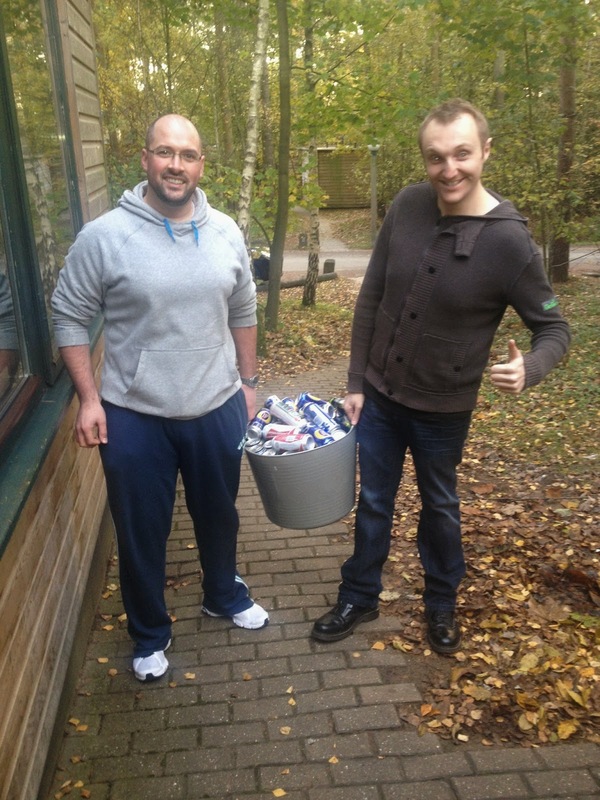 Dave and Tom bring in the alcohol! Our plan was always to spend our first evening in, with the optimistic hopes of a BBQ. 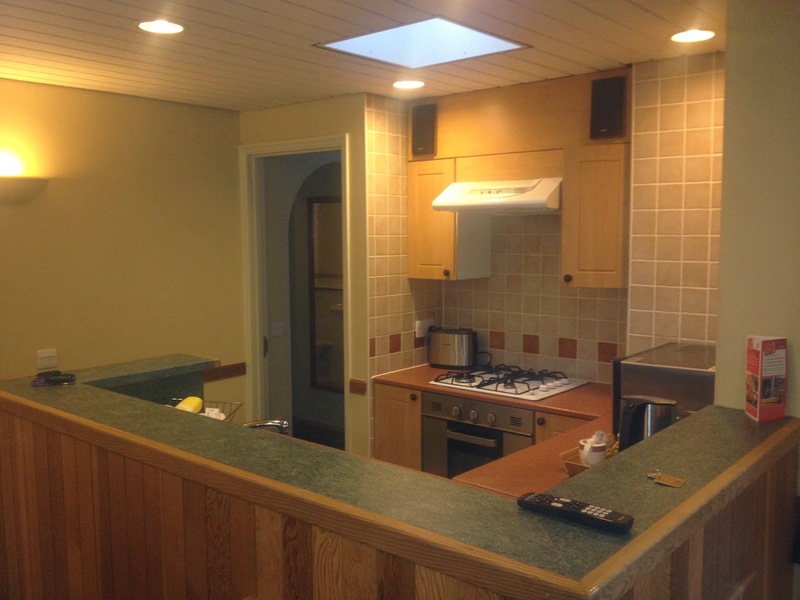 The chalets are set up in such a way that you can quite easily self cater, with a large communal sitting area and dining area, as well as a kitchenette just big enough to prepare a meal for six. Ever the optimists, our November BBQ went ahead as planned, and we spent a cosy evening by the open fire, playing games and, of course, making a dent into all of that alcohol. We were celebrating our 30ths, after all! 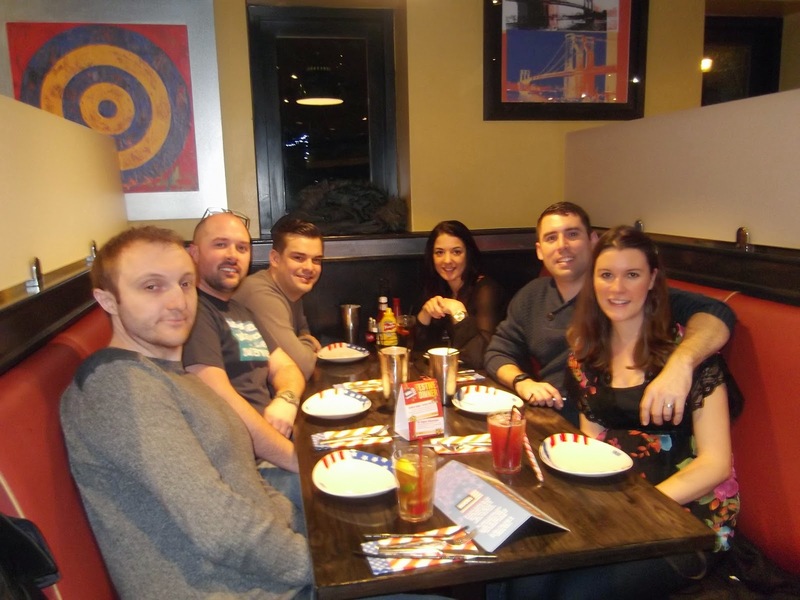 If you do want to eat out, there’s a wide choice of restaurants on the complex, including favourites such as Café Rouge and Bella Italia, as well as less well known eateries like the all-American Diner, Hucks. 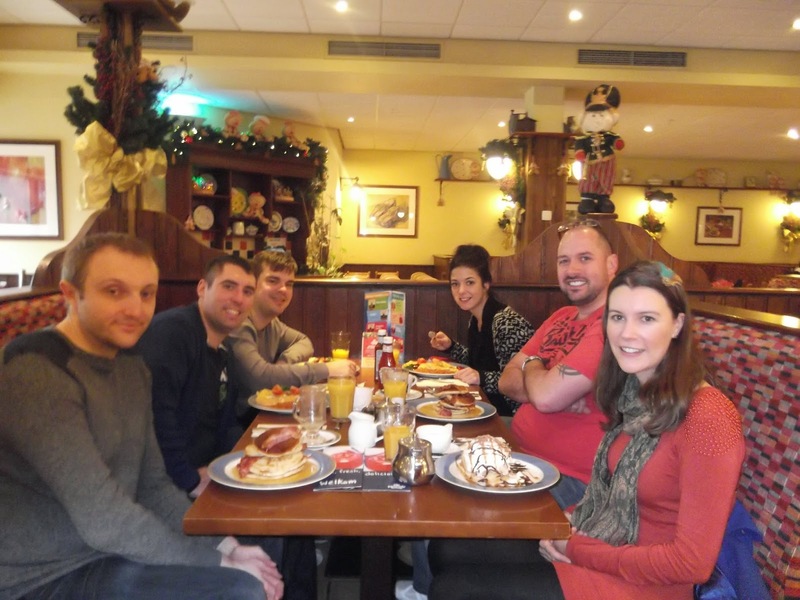 Not forgetting, of course, the Pancake Palace, which is a firm favourite for breakfast; they even do gluten free pancakes! One tip I would give anyone going to Centerparcs, however, is to make your restaurant reservations well in advance. We didn’t know we could or should do this, and so didn’t end up eating until gone 9pm on the Saturday night. And something to soak up that alcohol wouldn’t have gone amiss! Undeniably, the centrepiece of Centerparcs Elveden Forest is the Subtropical Swimming Paradise, where the main wavepool is always a blissful 29.5 degrees Celsius. I don’t know quite what I expected, but it wasn’t an indoor waterpark! With slides galore, including the new Cyclone raft slide, there’s plenty to entertain. I think our favourite part by far were the rapids, which take you outside into the crisp forest air. It was hilarious watching the lads upstaged by young boys jumping into the freezing depths of the ice cold plunge pool (and during a November twilight too! ), not to mention the fun of the super-fast rapid style slide which eventually bumps you along and brings you back inside the complex again. If you don’t want to spend any money at Centerparcs, you could quite easily spend days on end by the pool, which is included in your holiday price! Something a little more active for the weekend? Of course, if you do want to branch out, Centerparcs has a multitude of activities on offer. Be mindful of the time of year you’re visiting, however, if you’re looking to partake in something specific, as some activities are obviously weather dependent, others are only on offer during the week (including some of the craft activities, which, much to my disappointment, I imagine are aimed mostly at families with children). 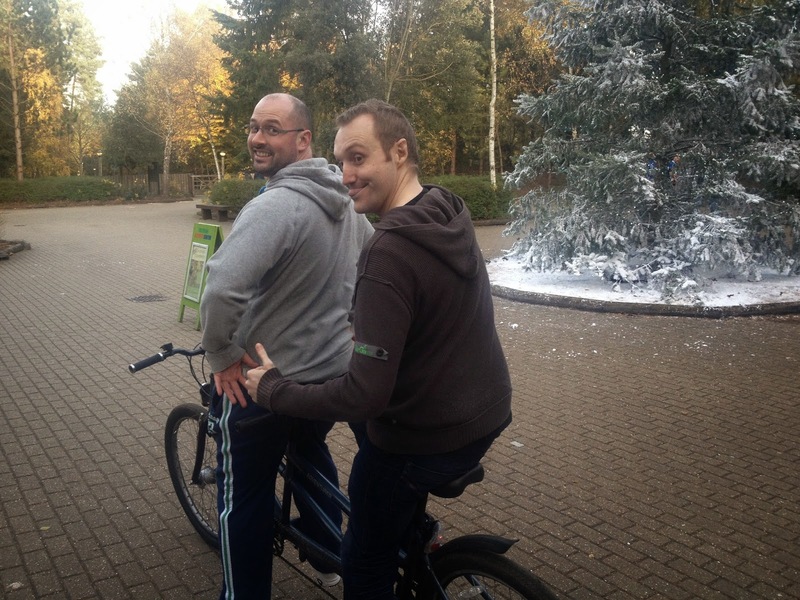 We enjoyed many a game of pool and even one long winded game of snooker, plus crazy golf, bowling and of course, cycling, which is synonymous with Centreparcs (although not usually on a tandem, which was Dave and Tom’s hire of choice!). Our friends were going to enjoy the spa, too, but on discovering that our chalet came complete with its own sauna, it was decided that we were quite happy with that. Kay and Mark even had their own jacuzzi bath in their en suite, which none of the rest of us discovered until the last night – they assumed that all of the en suite bathrooms had one – or so they told us!! The complex also has its own clubhouse type bar, complete with cheesy disco. If we went again, I would be quite happy to forgo the bowling and bop the night away in there, although I don’t think the boys, with the exception of Tom, would agree! 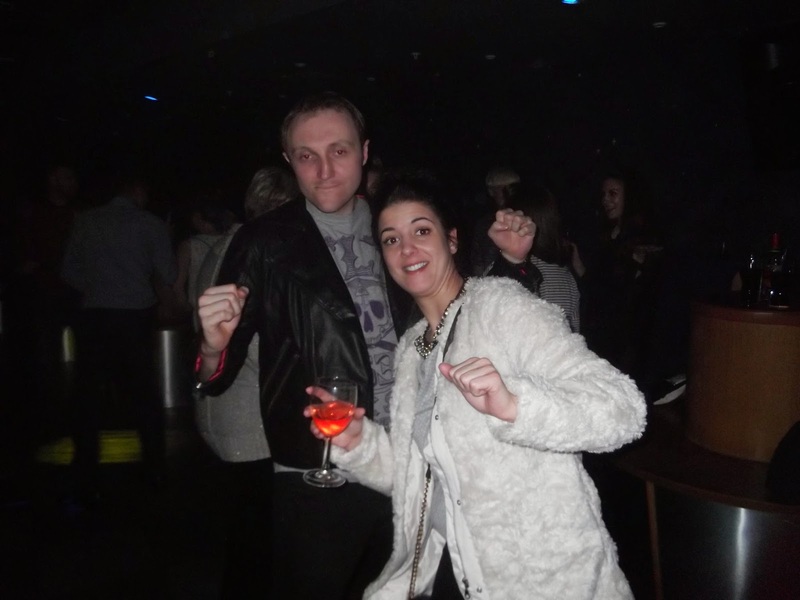 Tom and Kay throw some shapes in the clubhouse disco! 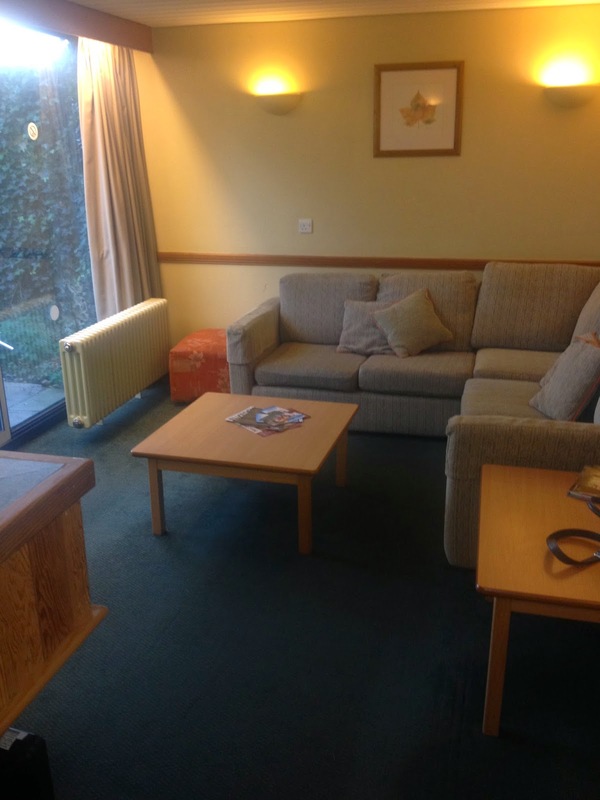 What surprised me the most about Centerparcs was its ability to offer a complete weekend of fun and relaxation. Its seclusion in a pine forest means that internet connection is limited (although there is wifi in the chalets for those that can’t live without the likes of Facebook and Twitter) and everything is centred around having fun: from the laughs enjoyed on the rapids, through to enjoying a night in together playing board games, we certainly had our fair share. 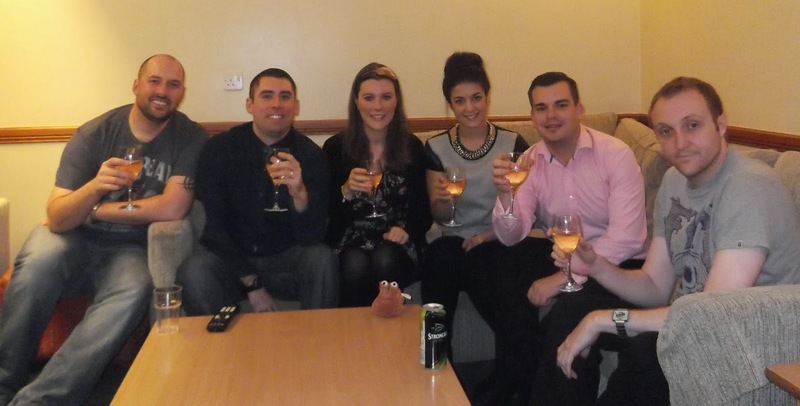 It’s the perfect place for a group holiday, the perfect place to renew friendships and enjoy each other’s company, and above all, for us, the perfect place to have celebrated our thirtieth birthdays. Happy 30th Birthday guys, cheers! This entry was posted in activity holidays, Celebration Holidays, Centreparcs, Cool Places to Visit in the UK, Forest Holidays, Staycations and tagged Celebration Holidays, Centerparcs, Cool Places to Visit in the UK, Forest Holidays, Self Catering Holidays, Staycation. Bookmark the permalink.